Suffering from Ocular Allergies? Relief is Within Your Reach! Spring is just around the corner. Yay! With that in mind, we decided to revisit one of our first Mandel Vision Blog posts on the allergies that accompany all of the beautiful flowers Spring brings our way. 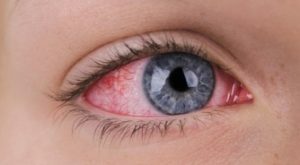 Although new eye drops are being manufactured frequently for many eye ailments, allergies included, the basics remain the same. See the blog post below to learn more. With Spring on the way comes the promise of the dreaded Spring allergy season. Seasonal allergies are usually due to allergens that bind to mast cells in the eye, which then release histamine. Histamine causes most allergy symptoms. Allergic symptoms include itching, redness and tearing. Symptomatic relief can be obtained using antihistamine drops (Naphcon A, non steroidal anti- inflammatory drops (Acular) or steroid drops (Alrex). However, these deal solely with the symptoms, so they only offer temporary relief. To get to the root of the problem, we usually try to prescribe a mast cell stabilizer that prevents histamines from being released. Taken a week or two before the allergy season is in full swing, these drops can really make a difference between a truly annoying allergy season and one that is very tolerable. Combination drops like Patanol, Bepreve, Optivar, Elestat, Alaway or Zaditor all provide protection by acting as both an antihistamine and a mast cell stabilizer, together. Zaditor and Alaway are available over the counter, while the others require a prescription. Two newer prescription medications are Lastacaft and Pataday, which are both histamine receptors. Both of these drops are long lasting so are only needed once daily. In our busy world, that makes these drops two of the most popular options for our patients. There are side effects to allergy medications that you should be aware of (both oral and ocular) which include dry mouth and dry eye. For dry mouth, lozenges or chewing gum can help stimulate saliva production that can be inhibited by these medications. Dry eye symptoms can be kept at bay with the use of natural tears, on a regular basis, while taking allergy medications. 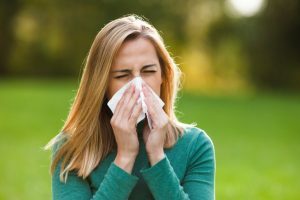 If you typically suffer from allergies or are already experiencing the ocular symptoms of Spring, call us at 888-866-3681 to make an appointment with Dr. Mandel. A thorough evaluation will enable Dr. Mandel to prescribe the medication that is right for you. Relief is within your reach! We want to hear from you! To comment on this blog post, sign into Facebook and then click here.